The second major announcement that kicked off TokenMarket 2018 was revealed that it will be working with its new Asian partner, Tokenomy. 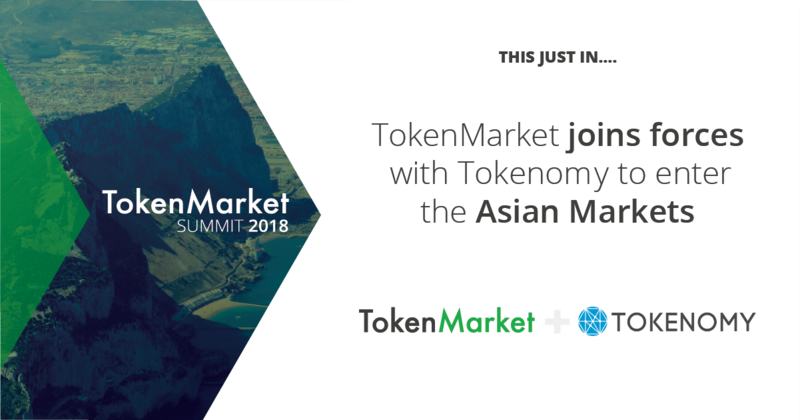 With Asia becoming one of the fastest and more open markets for ICO projects and the cryptocurrency industry, TokenMarket is excited to be partnering with Tokenomy to expand its ventures in Asia. Tokenomy’s primary purpose is to provide a crypto-to-crypto exchange, focusing on Southeast Asian market. Tokenomy also offer project advisory services as well as having issued own TEN token that can be used within their mobile application. Working together with TokenMarket, Tokenomy will be utilising a set of high standards that all proposals made will be above board and regulated highly. TokenMarket will work directly with Tokenomy on its ICO advisory service providing its insights and veteran token sale experience from advising on 30+ token sales.